Katherine Dougherty was ordained to the Priesthood in a glorious service on Saturday, December 9, 10:30 am at St. George's Episcopal Church in Fredericksburg, Va. The All Souls congregation celebrated with our new Priest at her ordination and first Eucharist on Sunday, December 10. A new bio will appear here soon! The Vestry is very pleased and excited to announce that Rev. 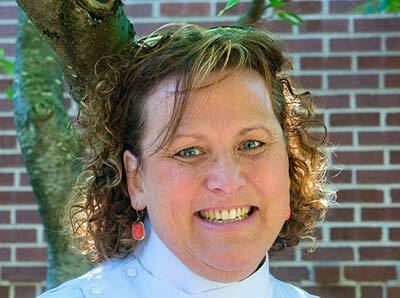 Deacon Katherine G. Dougherty has accepted our call to become our Deacon in Charge. Ordained June 10 to the Transitional Deaconate by the Episcopal Diocese of Virginia, Rev. Deacon Dougherty will be ordained to the Priesthood in early December. Katherine will be introduced to All Souls and Messiah on Sunday, July 16 at the 9:30 am Worship service. At 5 pm, we will give her an All Souls Welcome at our “Fun, Fellowship and Food” event at the Atlee House. We hope you will attend both. Rev. Deacon Dougherty brings with her many talents and skills that will enhance our goals at All Souls. Her background in both public education as a Learning Specialist and in the corporate world as an Organizational Consultant and Facilitator will be beneficial in guiding the mission of All Souls. The vestry was impressed not only with her skills and experiences, but with her thoughtful and insightful answers to our many questions. Rev. Deacon Dougherty is excited to move to the Mechanicsville area with her rescue dog Sawyer and cat Scampers. She loves being outdoors, kayaking, art, live music, and cherishes time laughing and playing with her family and friends. 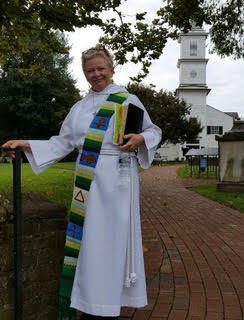 The Reverend Deacon Karla Hunt was ordained September 29, 2018 as a vocational deacon and began ministry at All Souls Episcopal Church on October 7, 2018. A long-time Episcopalian, Deacon Karla has two adult daughters and is the leader of the pack of two lab mix ‘pound puppies.’ She is a retired geologist and enjoys exploring the interaction between science and religion. 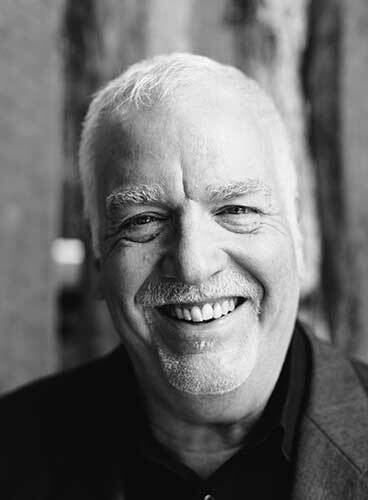 All Souls welcomed Dave Greennagel as Music Director in February 2017. Dave is currently Assistant Professor of Music, and Director of Music Education at Virginia Commonweath University, but his experiences also include K-12 music education in many places in Virginia, and Supervisor o Arts Education in Arlington, VA. Closer to home, he was the Director of choral Activities and Assistant Professor Of Music at Randolph Macon College in Ashland, VA.
With his great smile, relaxed attitude, and extensive choral background, we are excited to have him directing the choir and music at All Souls. If you would like to sing, please join us!